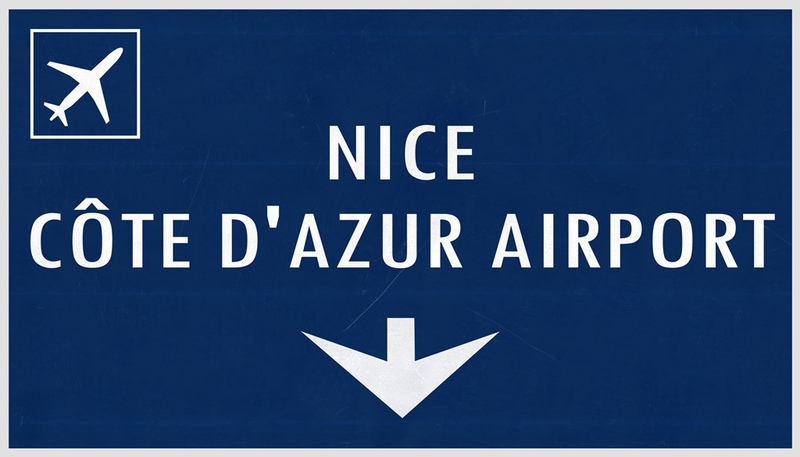 Nice Côte d’Azur Airport is a French international airport situated 6 km southwest of Nice. 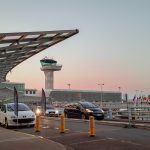 It is the third busiest airport in France, serving the eastern part of Provence and counting 12 million passengers in 2015. Due to its proximity to the Principality of Monaco, it also serves as a city-state’s airport. Airport shuttle: The Nice Airport Express Bus costs 6,00€ and you can buy the ticket either from the driver directly on the bus or at the bus desk at the airport. The ticket is valid for 75 minutes. Bus nr. 98: use the line Promenade des Arts/Lycée Masséna if your destination is one of the beach hotels or Old Nice. It leaves every 20 minutes until 10:00 p.m., and then there are two last buses at 10:50 p.m. and 11:50 .p.m. The bus goes along the seaside, turns to the Old Town, and just before the Museum of Modern Art, at the Promenade des Arts stop, or late night one stop earlier, at Lycée Masséna. In case you need to go to the airport from the city centre, here is the schedule. NOTE: To continue to the Port from, take take the bus #9, #10 or #81; one of them comes every 7-10 minutes, and your airport bus ticket gives you a free transfer. Bus nr. 99: the line Gare SCNF will take you to the main Train station. It leaves every 30 minutes. Check out the timetable before your departure. NOTE: If you don’t push the red button few moments prior to your stop, the bus driver will keep on going. Also, if you don’t wave your hand to the driver to stop the bus while you are waiting at the bus stop, there’s a good chance you will miss that bus. go to the Promenade des Anglais, the bus stop is there. The bus nr. 23 will take you to Gambetta boulevard and then to Train station. The line nr. 52 goes to the Promenade hotels. The bus nr. 59 goes on the route from the airport to Place Massena. Line nr. 70 goes to the Old Town. NOTE: By mid-2019 an option of taking a tram from the airport to the city center will be at your disposal! From the airport to the Nice Port: Since the line nr. 98 no longer goes through the Port, exit on the Promenade des Arts stop, right before the Museum of Modern Art and take one of the following lines: 9, 10 or 81. The buses come every 7 – 10 minutes. Your bus ticket will still be valid, so do not buy a new one. cross to the left, under the SNCF railway bridge (Route de Grenoble), then turn right (Av. Edouard Grinda). NOTE: It is a very small station, you can buy tickets only from the machines. To reach it, you’ll have to walk for 15 minutes, provided you don’t get lost which is very common, since the signposting is non-existent. Taxi services: The Nice taxi drivers have the worst reputation in France for their overcharging, behaviour and intimidation. Before you take it, tell the driver you want the receipt and make sure the taximeter is set straight to day (jour) or night (sour). The drive will take approximately 20 minutes and it will cost 30,00 – 50,00 €, depending on the luggage, if you look like a tourist, if you speak French or not, etc. Only cash is acceptable. NOTE: If you want a taxi-like experience but for a decent price, take Uber. You will pay 16,00 – 20,00 € from the airport to the city centre. Transfer: If you wish to have more comfort, or you have a lot of suitcases, you can always book the door-to-door transfer to your accommodation in Nice area. If you travel with smaller kids, you can order child seat. The price of private transfer is approximately 35,00 €. Renting a car at Nice airport: If you prefer reaching and exploring the city by yourself, you should rent a car online or do it on the spot: most of the car-rental companies like Goldcar, Sixt and Goldcar are situated in the airport area. Renting a bus at Nice airport: For larger groups of passengers, one car may not be enough, therefore consider renting a bus. From NCE to Monaco: Due to its proximity, you have many options to choose from. Express Bus: The Monaco Express Bus nr. 110 departs every 30 minutes. A single ticket is 20,00 € (return 30,00 €) and the journey takes 35 minutes. Taxi: The fee for up to 4 people is 90,00 € from the airport of Nice. NOTE: The return taxi must be one of the Monaco companies and will charge you 100,00 € – the same price as for the helicopter! Helicopter: They leave every 30 minutes, the journey takes 7 minutes and costs 100,00 – 110,00 €. Plus, the transfer from the helipad to your hotel is included in the price. Express Bus: The Cannes Express Bus nr. 210 leaves every half an hour and costs 16,50 € per direction (26,50 € return journey). It leaves you at the Port after 45-minute drive. Local bus: The bus nr. 200 for 1,50 € is the cheapest option. It departs every 15 minutes and drives for 90 minutes along the coast. Taxi: The usual price for up to 4 people is 90,00 € (depending on the luggage). The price also depends on the season, so during the Cannes Film Festival, the prices double. The drive takes 50 minutes. Express Bus: The Antibes/Golf Juan Express line nr. 250 leaves the airport every 35 minutes. A one way ticket costs 8,50 € (return 16,00 €). After 35 minutes of driving, it leaves you at Antibes Vautrin, very close to the Antibes train station. Local Bus: The line nr. 200 takes you to Antibes every 15 minutes for a 1,50 €. Taxi: If you choose this option, expect to pay at least 60,00 € for up to 4 passengers. The journey takes 30 minutes. A: No, bus lines drive until late hours, but in case you miss them all, take a cab, but be careful with the driver, since the Nice taxists are known for their overcharging. If you want a cheaper version of a taxi, call Uber. A: Of course, Campanille Nice Airport and Notevol Nice Arenas Aeroport are only 800 m away. The prices are not too high, they have free parking lot, free Wi-FI and 24 hour desk, so don’t hesitate to book a bed there. Q: I would like to spend one day in Nice in between flights. Is that possible? A: Yes, of course. The best way to do so is to take one of the buses which take you directly from the airport to the city centre and are the most convenient way of transportation. If you don’t want to carry your luggage with you all day, simply leave it in the luggage storage at the airport for the price of 14,00 € per item per day. The service is situated at Terminal 2, Arrivals level, ground floor between A03 & A04 gates and is open every day from 06:00 a.m. to 11:30 p.m.
Q: I am continuing my journey outside Nice. Are there any direct lines from the airport to other cities? A: Yes, you can visit Monaco, Cannes and Antibes. For other directions, go to the train station and check out the train schedules and connections to the rest of the country. Q: Can I exchange the money at the airport to pay for my transfer? A: Yes, there are several exchange offices and ATMs at the airport, working 24/7, but it would be better to exchange the money before the trip and have some euros on you since the rate will be a lot higher on the spot and no currency other than euro is accepted. İ want to go to sea Side park resort Villeneuve loubet form cote d azure nice AirPort which bus do i have to get on? 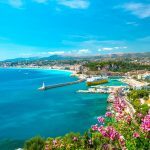 First, you need to walk around 900m from the airport to Nice-Saint Augustin bus stop, then get on 86016 Cannes-la-Bocca train and exit at Gare De Villeneuve-Loubet stop (approx. 13-minute ride). That is the fastest way to get to the resort from Nice Côte d’Azur Airport. The price we put is an approximate price of transfers from Nice Airport, it is not a fixed price of a particular company. Try to find more transfer companies for this area and compare the prices. My husband and I are flying to Nice tonight and will arrive Friday late afternoon. Is there good bus service to the Hotel Omega in Valbonne? 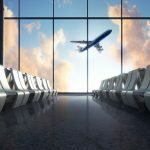 Is it easy to find the bus station at the airport? How often do the busses run? And how late on a Friday? Thanks much for your help. Hope I hear from you before our flight leaves. Unfortunately, there is no direct bus service to Your accommodation, I suggest booking a private transfer or taxi. Hi.. my husband and i from terminal 2 international nice airport.. if i want go to the city direct by bus, do we go to term.1 bfore?? How much from term.2 to term.1 by bus?? 6€/person?? There’s a free shuttle between T1 and T2 and it runs every 10 minutes back and forth. 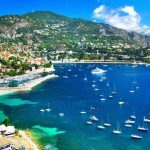 I would like to bring my disabled wife to Nice from the UK for a day trip. Are the airport to city centre express buses wheelchair accessible please and if not how far is it to walk? According to their FAQs, all the new buses have low floors, allowing easier access. There’s also an additional ramp for wheelchairs which can be deployed if needed. First you need to take bus 98 to Promenade des Arts bus station and then transfer to bus 3 or 27 and exit at Rivoli bus stop. I arrive late at the airport after 9 pm. I saw that bus 99 going to the city, hotel Bristol but it’s until 9 pm. Do you know what bus can i take moving to hotel Bristol, i know that the hotel is near to Gare de Nice? Another option is to take bus 70 from Nice Airport and exit at Cathédral – Old City bus stop and then transfer to T1 tram line and then exit at Thiers Station. From there you have 2 min walk to your accommodation. Hi – i will be arriving Nice Azur Airport & need to go to Cannes (Gray DÁlbion Hotel). Once i drop at how far is Gray DÁlbion Hote). Train Services – Where to get it & where to drop off & Once i drop at how far is Gray DÁlbion Hote). You can take bus line 98 to Promenade Anglais and then transfer to bus line 200 which connects Nice with Cannes. You should take bus line 98 and exit at Congrès/Promenade bus stop which is only 5 min walk from Hotel De Suède. could you please tell me how can i from Nice airport to Hotel: villa Bougainville by happy culture by bus after 9pm of Friday . Where I get on or get off the bus ? Thank you. The best option would be to take bus line 23 and exit at Thiers / Gambetta bus stop. From there you have additional 3 min walk to your accommodation. Catch a bus line 98 from Nice Airport and exit at bus stop Promenade des Arts. From there you have additional 5-min walk to your hotel. I arrive at midnight to Nice airport and my hotel is in Nice City. I’m struggling to find night bus information. As I’m travelling alone, the taxis fares are too expensive for me. Could you help me with getting the night bus info or let me know whether the trams are late running? Sorry to disappoint you, but unfortunately, there are no buses from the airport after 23:45. 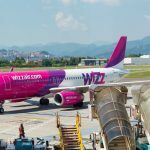 There are no tram connections to Nice Airport in general, however, they are planned to be introduced in mid 2019. Hi, We need to take bus 9 from Nice airport to Nice old town and need to get off near Rue du Moulin. Which busstop do we need to get off? thank you! You should take bus 98 from Nice Airport and get off at Cathédral – Old City bus stop.